Heidi Ottevaere (21-01-1974) is a full professor at the Faculty of Engineering of the Vrije Universiteit Brussel (VUB) since October 1st 2009. She is responsible for the Instrumentation and Metrology platform at the Photonics Innovation Center and for the research unit ‘biophotonics’ of the Brussels Photonics Team B-PHOT chaired by Prof. Hugo Thienpont. She is coordinating and working on multiple research and industrial projects focusing on the design, fabrication and characterization of different types of photonic components and systems in the field of biophotonics, interferometry, holography and imaging. She graduated from the Vrije Universiteit Brussel in 1997 as an electrotechnical engineer with majors in Photonics and received her PhD degree in Applied Sciences in 2003 from the same university for her work entitled: “Refractive microlenses and micro-optical structures for multi-parameter sensing: a touch of micro-photonics. Scientific Output: Heidi Ottevaere has made research efforts in fundamental, applied and industrial photonics. She authored 166 Web of Science Core Collection cited papers of which 71 high-impact journal papers and 95 papers in international conference proceedings. She was promoter of 9 PhD’s, edited 2 conference proceedings, authored 7 chapters in books, was invited speaker at more than 20 international conferences, and is co-inventor of 2 patents (h-index 17; Google scholar index: 23). Scientific Breakthroughs: During the past years Heidi Ottevaere and her team have developed microminiaturized, integrated, plastic detection units that can be applied for absorbance and laser-induced fluorescence measurements in microfluidic channels opening up opportunities for the development of portable, robust, and, ultimately, disposable lab-on-a-chip systems that can be used in the field and for point-of-care diagnostic applications. Together with Dr. A. Mignani, a colleague from the Nello Carrara Institute of Applied Physics (IFAC) at CNR in Florence, Heidi has demonstrated that diffuse-light spectroscopy combined with multivariate data analysis can be effective for achieving a digital mapping of a multitude of liquids for the prediction of important quality parameters during production, as well as for the authentication in food fraud prevention. Extra virgin olive oils from Italy, lubricant oils from turbines with different degrees of degradation, Belgian beers and honeys from all over the world were considered as ’case studies’. Next to that, Heidi and her PhD students have developed for the first time microstructured optical fibers in novel soft glass materials for endoscopic applications. The coherent fiber bundles consist of tightly packed, regularly ordered high-refractive index cores in a common low-refractive index cladding allowing in the future the optical interrogation of tissue and organs that are not accessible with larger endoscopes. In the field of imaging systems, she has initiated and coordinates the work on the development of wafer-scale multi-channel multi-resolution systems where a combination of passive and active lenses allows refocusing next to the capturing of images with different magnifications. Contributions to Education: In 2004 Heidi Ottevaere introduced, together with her colleagues from the Vrije Universiteit Brussel and the Universiteit Gent, the interuniversity engineering curriculum “Master in Photonics” which received the EC Erasmus Mundus quality label in 2006 for teaming up with the University of St. Andrews, Heriot-Watt, and KTH-Stockholm. From 2007 she is member of the Steering Board of the European Master Programme as well as responsible for Erasmus exchanges in the field of Photonics. 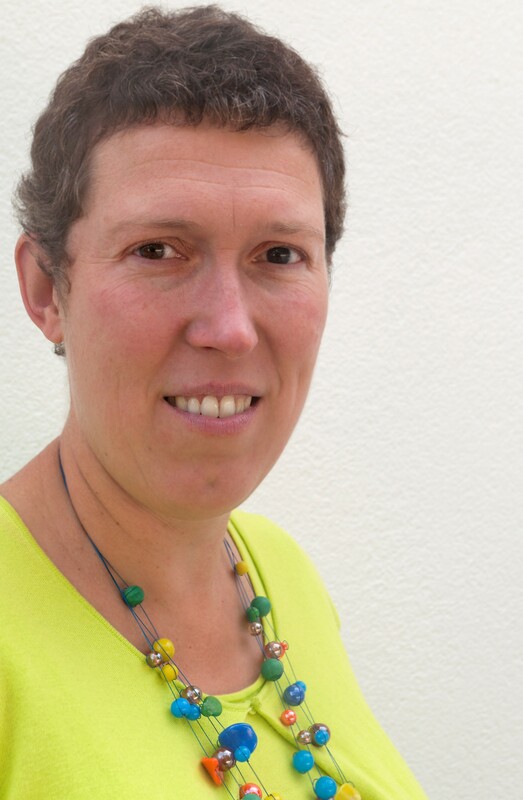 Two years later, in 2009, Heidi Ottevaere became programme director at VUB for all photonics-related master programmes. That same year, she initiated with her UGent co-chair a local version of the European Photonics master, the first English-taught interuniversity master programme in Belgium and was responsible for the first audit of the interuniversity photonics programmes which were ranked among others as very successful and well-running programmes. Until today, she is the driving force behind photonics education at VUB. Since 1997 Heidi lectured a variety of optics- and photonics-related courses at VUB, such as Optical Measurement Techniques, Microphotonics, Laboratories in Photonics Research and Internship in Photonics. Project Coordination: Heidi Ottevaere built up a track record as initiator, promoter or coordinator of various strategic research and networking projects, which are financially supported by regional, national and international bodies such as the Fund for Scientific Research Vlaanderen (FWO) and the Institute for the Promotion of Innovation by Science and Technology in Flanders (IWT). She is currently running several FWO funded research projects on miniaturized biosensors for the screening of drinking water as well as for medical applications and is promotor of an IWT VIS-project on Precision Manufacturing. At European level she was deputy work package leader of the “Centre for Measurement and Instrumentation” of the European 6th FP Network of Excellence on Micro-optics “NEMO” and of the work package “Optical components and subsystems from micro- to nano-scale in Biophotonics” of the European 7th FP Network of Excellence on Biophotonics “Photonics4Life”. Industrial Valorization: Heidi Ottevaere has been responsible for several micro-optics-related research projects with Belgian as well as international companies (e.g. Melexis, Umicore, Autoliv, Anteryon, Mitsubishi and the Optoelectronic Industry and Technology Development Association in Japan). Within the European Coordination and Support Action ACTMOST (Access Centre To Micro-Optics Services and Technologies) she was involved in 7 industrial projects to assist SMEs, such as Anteryon (NL), EximiusLab (NL), mLED (UK) and Lovalite (FR), with photonics innovation. In the Integrated Project ACTPHAST (2013-2017) she is collaborating with companies such as ELDIM (FR), Evosens (FR), Crea (BE), Difrotec (EST) and KSM Vision (PL). Smaller-scale service contracts were commissioned by companies such as Atlas Copco, Allnex, Flamac, Sirris, Trinean, ICOS-KLA Tencor, Lambda-X, Skylane Optics, Sihto, Azimut and the WTOCD. Services to the Community: Heidi Ottevaere is appreciated by her peers for her service to the photonics community. Indeed Heidi has been member of many technical and scientific program committees of photonics-related conferences organized by international societies like SPIE, IEEE, OSA and MOC Japan. Heidi served as reviewer for journals such as Applied Optics, Optics Letters, Journal of Micromechanics and Microengineering, IEEE Journal Lightwave Technology, IEEE Photonics Technology Letters, Journal of Micro/Nanolithography, MEMS, and MOEMS (JM3), IEEE Transactions on Instrumentation & Measurement and Optics Express as well as evaluator for photonics-related projects submitted at “Agence Nationale de la Recherche (ANR)” - France, the European Commission (EU) and the Institute for the Promotion of Innovation by Science and Technology in Flanders (IWT/VLAIO). Scientific Outreach: Heidi Ottevaere has been active in the field of scientific outreach with contributions to several events at national level. Yearly she is also visiting several secondary schools in and around Brussels to raise interest of students to start engineering studies at the Vrije Universiteit Brussel.